Turkmen President Gurbanguly Berdimuhamedov has received the Vice President of the Islamic Republic of Iran (IRI) for International Affairs Ali Saidlu in Ashgabat, the Turkmen government said on Thursday. The Turkmen head was conveyed greetings from his Iranian counterpart Mahmoud Ahmadinejad, addressing his best wishes to the people of Turkmenistan. "Iran attaches great importance to the development of full cooperation with neighbouring Turkmenistan. 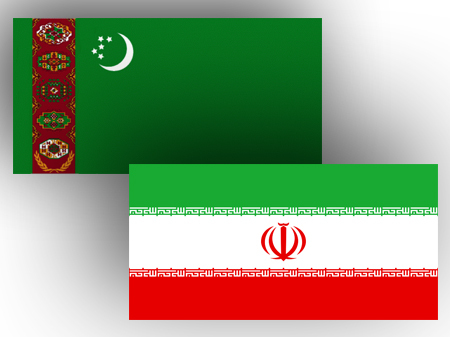 The Iranian people are united with the people of Turkmenistan by the bonds of friendship and historical and cultural ties developed over centuries," Tehran representative said. After conveying greetings to the Iranian leadership, Berdimuhamedov said that Turkmenistan also focuses on strengthening and expanding traditionally friendly and neighbourly relations with Iran. The head of state noted the high level of inter-state partnership, as evidenced by the on-going dynamics of bilateral cooperation in trade, economic, cultural and humanitarian areas. The sides exchanged views on the priorities of cooperation, including transport and energy sectors. Turkmenistan and Iran have carried out a series of large scale projects such as the construction of the Dostluk reservoir, Tejan-Sarahs-Mashhad railroad, interstate pipelines and power lines. At this stage, the two countries with the participation of Kazakhstan are implementing the North-South joint railway project. The road laying is funded by the Asian Development Bank and Islamic Development Bank. One of the strategic areas is gas cooperation. The Korpedje-Gurtguyu pipeline originating from the western fields of Turkmenistan was commissioned in December 1995. Since the end of December 2009, the neighbouring countries have opened additional facilities based on the eastern fields of Turkmenistan.